Perhaps the most ancient group of animals living today are the various marine and freshwater sponges, collectively called Poriferans. As we saw last week, sponges lack even the rudiments of a brain or a nervous system and their bodies are composed of loose cells held together by a gel-like matrix. The first animals to evolve a nervous system were the ancestors of jellyfish or comb jellies, which had structures called nerve nets, composed of many individual neurons connected to each other in a more-or-less uniform manner. 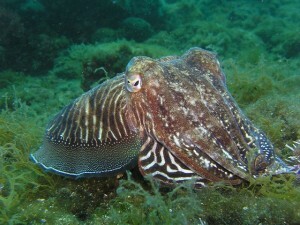 The brain first emerged in flatworms and roundworms, and almost all species of animals that evolved after this had brains that steadily increased in relative size and complexity (with the notable exception of the echinoderms – starfish – who lost their brains during evolution). Certain groups of animals developed amazing specializations – Octopuses, for example, have a nearly self-sufficient nervous system (a mini-brain almost) in each of their many arms. Now, here’s a fact – till about 500 million years ago, all animal species lived in the oceans and had soft bodies lacking skeletons (though sometimes covered by hard shells, like oysters or some insects). About 525 million years ago, a radically new class of organisms emerged. These animals had a new form of hard tissue that enclosed their nerve cords and their brains, better protecting them from injury. The hard tissue that enclosed the nerve cord was called the vertebral column (the backbone), and this gave this group of animals its name – vertebrates. From this group came fishes, amphibians, reptiles, birds, and finally mammals, the large class of which we are a member. Besides being enclosed in a hard, bony structure called the cranium (the skull), the vertebrate brain had a few features not observed in all the species that came before it. One of these new features was the neural crest cells, a versatile type of embryonic cells that give rise to parts of our skulls, face bones, smooth muscles and peripheral neurons. Almost all living vertebrate species share the same basic brain structure with the same major divisions of the brain, the only differences being in relative size of the divisions, and functional specialization of subdivisions within these regions. In spite of sharing such basic characteristics, one vertebrate brain may still be quite different from another, particularly between groups. Brains range in weight from a few milligrams in some fish and amphibians to 7.8 Kg in the sperm whale (five times heavier than ours). Fish have the simplest brains within the vertebrates, but they have highly developed sense organs, including some senses that might seem alien to us – for example, organs for sensing electrical and magnetic fields. 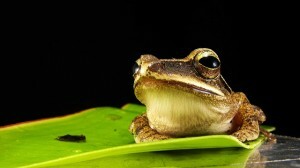 Amphibians (frogs, turtles, salamanders etc.) were the first vertebrates to leave the water, and their new habitat required their brains to adapt for new and specialized functions. This included increased hearing capacities, changes in vision, as well as new balance and posture modifications that allowed them to resist the heavy pull of gravity on land. 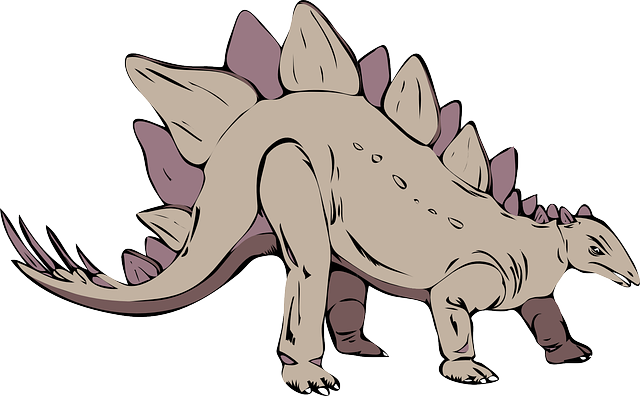 From the amphibians came reptiles, cold-blooded, ground living animals, the first completely terrestrial vertebrates. Today, you know them mostly as the lizard on your wall, and the snakes in the fields outside at night, and a few crocodiles and alligators you may have seen on TV. But one cannot, should not talk about reptiles without mentioning their gargantuan ancestors who dominated the earth for several millions of years and fueled the imagination of every prepubescent child with access to a television – the dinosaurs. Dinosaurs were not known for their intelligence, but reptiles evolved certain key specializations in the brain – including the same twelve cranial nerves that carry information from the brain to the rest of the body in humans. 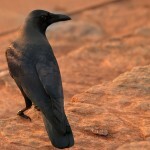 It is now well accepted that birds evolved from reptiles, with feathered dinosaurs possibly providing the missing link. While the phrase ‘bird brain’ has come to mean limited intelligence in modern speech, in truth, birds are remarkably intelligent creatures. 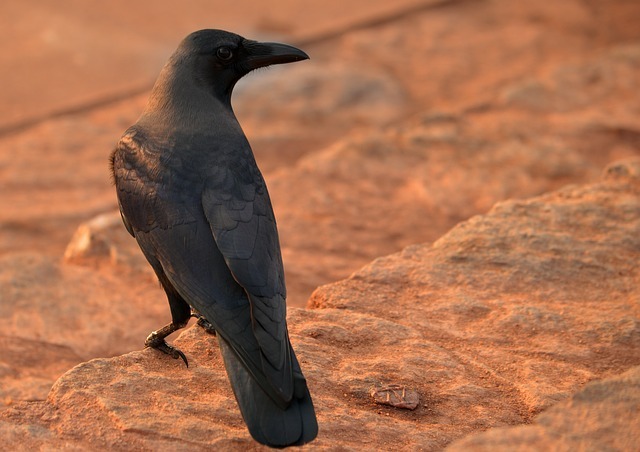 Corvids (crows, ravens, jackdaws and a few others) are among the most intelligent groups of birds known, capable of using complex tools, and possessing a brain-to-body ratio that is almost equal to that of great apes, and only slightly lower than humans. The brains of birds bear several similarities to ours, some of which may have been the result of convergent evolution (similar structures for similar functions evolving separately in unrelated animals). For example, the centers of the brains of songbirds that help them learn their songs bear remarkable similarity to the brain regions controlling language in humans. Our own small branch of the vertebrate lineage emerged about 220 million years ago, when dinosaurs were still the kings of the forests and open lands. These animals were different from the other vertebrates in that they nurtured their embryos inside their bodies instead of laying eggs, and evolved enlarged glands that secreted a nutrient rich solution that the young ones fed on in their formative years. It is the latter set of glands that gave this group its name – mammals, named after their mammary glands (milk-producing breasts). The early mammals were small, nocturnal creatures feeding on insects and living under the shadow of the dinosaurs. Their ecological success arrived at the footsteps of the major cataclysm that wiped out the dinosaurs. In addition to retaining the structures inherited from their ancestors, the mammalian brain evolved a six-layered neocortex (more on this next week) and a new set of structures called the limbic system. The limbic system lies deep inside the cerebral hemispheres, and is responsible for controlling most of what we call ’emotions’. This might have helped the formation of complex social groups, extended nurturing behavior shown towards young, enhanced aggression and fear responses, and heightened emotional learning capacities in these animals. 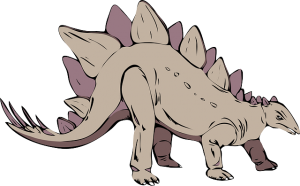 Note that this view is not accepted by all scientists, and there exists evidence that functional limbic systems may have existed in the common ancestors of reptiles and mammals. Birds also have a limbic system that is functionally similar to the mammalian form. 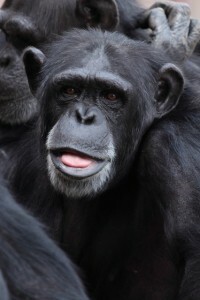 Chimpanzees, our closest relatives, are primates like us. Primates, the mammalian order that humans belong to, evolved about 65-80 million years ago. Besides humans, this group includes monkeys, apes and some small animals like lemurs. Their early ancestors were probably mammals who lived in dense forests or jungles, and took to the trees for shelter and food. This choice of lifestyle led to several key changes in the brains of these animals. First, swinging from tree to tree at heights where a fall can mean several broken bones, if not certain death, requires remarkable motor skill. Deliberate grasping of a tree branch or a small object is a skill that evolved in this small family of animals, accompanied by a significant increase in visual abilities. Primates also started living in large and complex social groups, with a flexible and dynamic dominance hierarchy, and strong interpersonal relationships driven by reciprocal exchange of goods such as bananas and services such as grooming. Perhaps for these reasons, perhaps for others, the primates evolved particularly large brains; in particular, the area of the brain called neocortex expanded heavily. In humans, the neocortex is involved in advanced functions like decision making, language and reasoning. From here, we move into the area which we probably know the least about and where things get fuzzy – our own dubious origins. Our closest relatives are a subclass of primates called apes, and our own lineage separated from that of the other great apes about five million years ago. 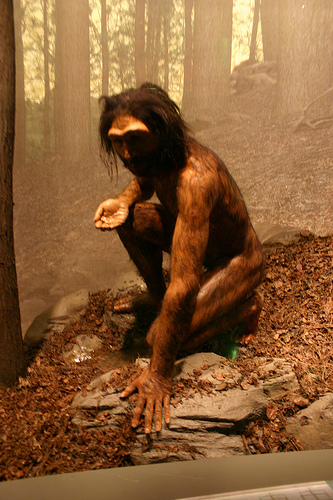 Among the first key adaptations of early humans was a bipedal mode of locomotion – walking on two feet instead of four. One of the oldest human-like fossils that have been found is the skeleton of Lucy, a member of the now extinct genus Australopithecus, found in Ethiopia. Lucy lived about 3.2 million years ago, walked upright on two legs, and had a brain size of about 450 cc, hardly different from chimpanzees and gorillas living today. 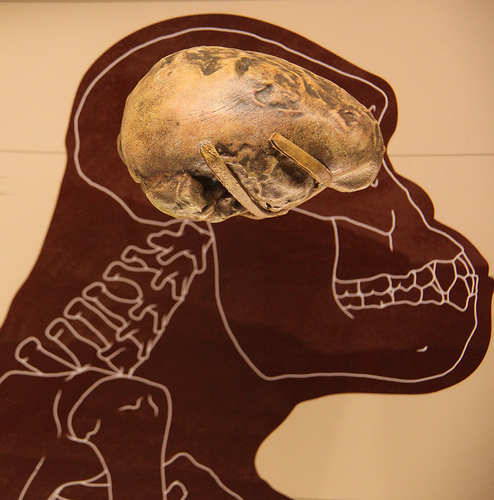 The first member of our genus, Homo habilis, lived around 2.4 – 1.4 million years ago and had a brain size of about 650 cc, which is greater than that of all other apes, but less than half of the brain size of modern humans. Multiple members of the Homo lineage lived and died and went extinct, we know little about their lifestyles or their intelligence. The first human species to spread beyond Africa, where the apes and all other hominid species had lived until then, was Homo erectus. 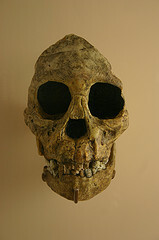 Homo erectus had brain sizes of about 900-1100 cc and a home range that was spread throughout the Old world. They probably used fire and have left behind much more sophisticated bone tools than their ancestors. In the northern parts of Europe, a group of humans called Homo neanderthalis (or Homo sapiens neanderthalis) lived with brains even bigger than ours – about 1450 cc. 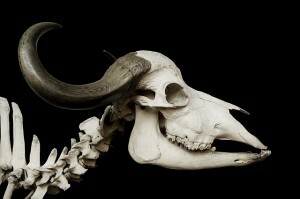 There is signifcant evidence that neanderthals were intelligent – they have left behind evocative cave paintings, and were probably the first to ritually bury their dead. Modern humans, or Homo sapiens, emerged in Africa about 200,000 years ago, and spreading out of Africa around 60,000 years ago (a blink of an eye on the evolutionary timescale) quickly overcame the rest of the remaining Homo species. As you can see, brain sizes have been increasingly steadily with every step of human evolution. However, everything we have discussed so far talks primarily about the ‘how’ of human brain evolution, not so much the ‘why’. The exact evolutionary pressures acting to produce a structure as complicated and unusually large as the human brain are debatable. 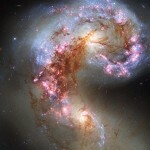 It is clear, however, that the expansion happened in a disproportionate manner for different parts of the brain. A study found that humans have abnormally large higher order cortical areas, particularly the prefrontal cortex, which carries out advanced decision making processes, and the temporal cortex, which is involved in long term memory, visual processing and understanding of language. The story of the human brain is therefore a story of steady and selective expansion, except for the last 20000 years or so, when it has been steadily shrinking. Did you just say our brains are shrinking? Sorry for springing that on you. It is a well-accepted fact that the brain has shrunk by about 10% in the last 10000 – 20000 years. Several theories have been suggested to explain this, including a) this change reflects better economization and size efficiency of the human brain (think of the rapidly decreasing size of the computer chip), or b) this is a consequence of reduced rates of aggression, a form of ‘self-domestication’, or c) this is the byproduct of a simple decrease in body size. This trend has reversed a little in the last 100 years – most likely because of the better nutrition available today, as compared to a hundred years ago. So that is it for today, folks. Next time we will start looking at the most interesting divisions of the human brain, and their functions. Let me know if there are any other topics you want me to cover before that, or any interesting facts about the brain that you know and I may have missed out on. Have a great weekend. Fascinating . Keep up .